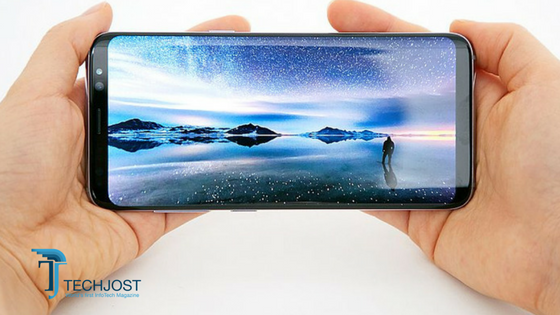 Samsung’s newest smart phone Galaxy S8 has captured the attention of the whole world since its unveiling last month. The Korean giant has started receiving the pre-orders for their newest smartphone. The first week numbers are surprisingly higher than ever before. There are clear signs that Galaxy s8 will be the most anticipated smartphone of 2017. The company has received more than 728,000 pre-orders this week. Samsung is confident that this number will increase to 800,000 before Galaxy s8 hit the stores worldwide. In a pre-order the retail store will receive the name and number of the individual in advance. Samsung’s marketing campaign may also have played a big role in creating the anticipation of Galaxy s8. There were fears that how will the general public will respond this year after Samsung’s biggest smart phone was flopped in 2016 because of battery exposing issues. But, these record number of pre-orders has already cleared all fears and company may see a big uprise in profits in upcoming quarters. The last date of pre-order is April 17 and many believe that number can even hit a million. There are no specific sales target Samsung has put in place but we believe that the number of units of s8 will be much higher when compared to s7 last year. The company sold around 49 million units last year of Galaxy s7. There are many amazing new features in Galaxy s8, which will definitely lure people around the world to consider buying it. The company has ditched its traditional home button. It’s ultra sharp screen display and curved sides along with a 12 megapixel dual pixel technology featuring Optical image stabilisation (OIS). The processor of Galaxy s8 “Qualcomm Snapdragon 835” is also the most powerful one the tech industry has seen so far. It seems like after the failure of Galaxy s7 models Korean giant tried to built the most powerful and highly powerful gadget of modern era. And what we have witnessed so far, it seems that the Galaxy s8 may well be the trend setter for all its competitors. There will be no argument that many iPhone users are already thinking about switch towards Galaxy s8, before it even it the stores. The mouthwatering features and astonishing display feature has already defeated the Apple’s prime smartphone “iPhone 7” series.